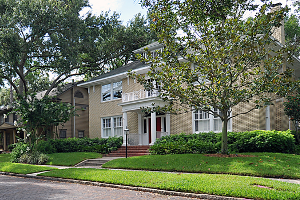 The Old Northeast, adjacent to downtown and situated along Tampa Bay, is one of the most sought after historic neighborhoods in St. Petersburg. Visitors reflect on 82 years of local history as they travel along the nostalgic brick streets, avenues and alleys, and delight in the time honored majestic homes, each with its own unique style and character. The majority of the homes were built the thirty years between 1920 and 1950. Excellence in structure and design are the common architectural theme. The neighborhood hosts approximately 9,000 residents in over 5,000 houses, apartments, and condominiums.